Hello! 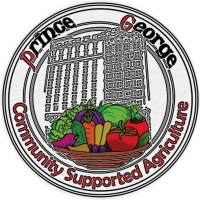 My name is Rachel Nass and I am so excited to be working at the Prince George, and especially with our CSA program. I have worked in homeless services for 2 years, and now have the opportunity to provide unique services here at the Prince George for our previously homeless and low-income tenants. I am passionate about food justice and sustainable living, so this program is an exciting way for me to engage our tenants as well as the surrounding community about making healthy and sustainable choices. Hi! I’m Yuna and I’m a lifelong environmentalist and vermicomposting fan (hint: “vermi” means worms!). I am passionate about urban agriculture and food equality, and love thinking of the ways that both topics intersect and overlap. On the weekends, you can usually find me in my neighborhood greenmarket picking up a gigantic bag of sweet potatoes and Brussels sprouts.